Please, if you will, imagine...JUST IMAGINE how I felt when I saw 'Mouseton Abbey' (by Nick Page) in real life, in person, in the flesh. How I felt when I could touch it and feel it. My sweet sweet little girl had it written down on her Scholastic book fair list! When we were walking around, looking at books, she ran and grabbed it to show me, and said "I thought you'd want to see this, Mom." Uh, THAT WOULD BE AN UNDERSTATEMENT. And now, I love this book. It's so grand! SO DELIGHTFUL! AND charming! And you know how I feel about that combo! It bears no resemblance to any real Downton plotline, you'll be relieved to know. It centers around a mouse family of aristocratic breeding (and every character is named after a different cheese). The Papa mouse, Lord Mouseton, has somehow lost the great Cheesy Diamond, a beloved family heirloom. So he races around the house causing a mess, while trying to locate it. It finally winds up in the Cheesmas Pudding. Get it?? CHEESMAS??? Oh I love it love it! Not only will you 'Downton' lovers out there appreciate this book, your kids are going to adore the darling little mouse family depicted in the story. So adorable! Great for kids ages 5-8. If you are looking for a sure-fire appreciated and awesome Christmas gift for someone (or YOURSELF), this needs to be at the top of your list. This is really well done! Seriously, if my pile of book fair items hadn't already added up to such an embarrassing amount of money, this would have come home with me, too. Soooooo clever! 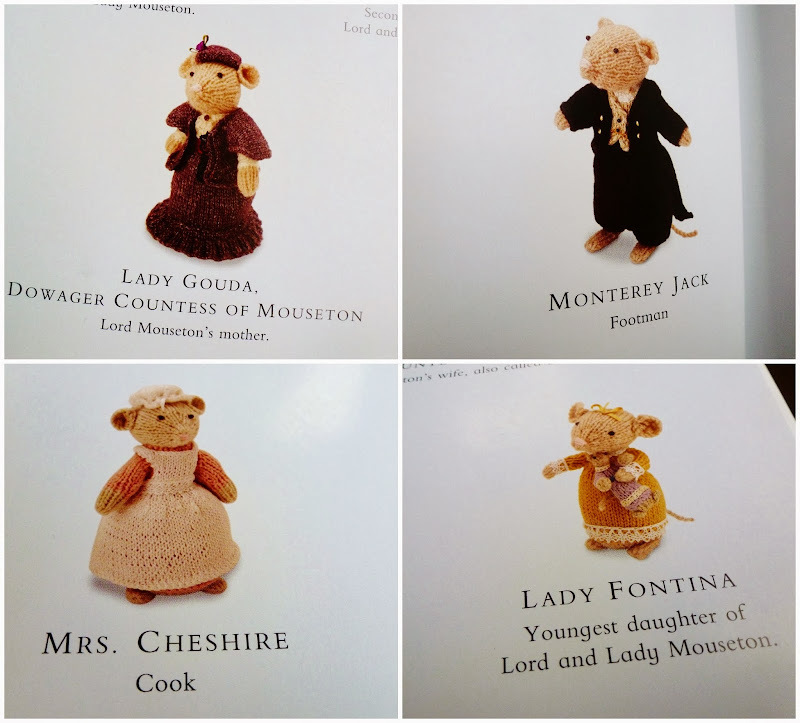 I have never watched Downtown Abbey but I do love little mousy critters and the ones in your book are adorable! May I say how cute it is that Julia just KNEW you would love it? Cuteness overload. I love love love it.